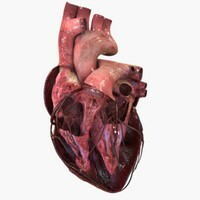 It´s a nice and clean 3d model of a human heart - but sadly it´s faulty. 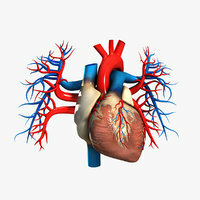 Aorta and pulmonary arteries are connected to the wrong ventricles (only visble in open heart) . This is a bug not easy to fix. Considering the price of this model (nearly 500$) I can only rate it ""2 stars"". FIXED VERSION. THE ERROR DESCRIBED IN THE RATING HAS BEEN FIXED. 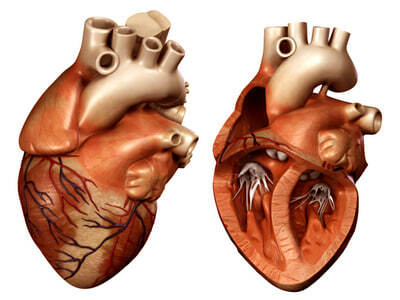 NOW THE AORTA AND PULMONARY ARTIES ARE CONNECTED TO THE CORRECT VENTRICLES. 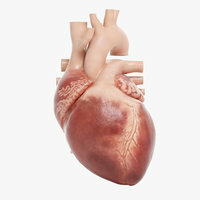 Accurate very high definition heart model. 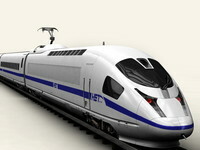 A version that can be opened and a closed version included. 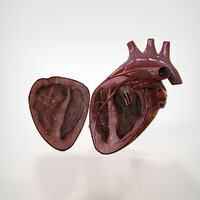 The model has been created using a 3D scan of a anatomical correct heart model as reference. 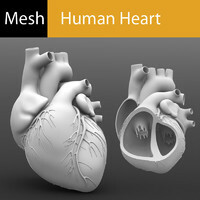 It includes modeled details like blood vessels and heart valves. 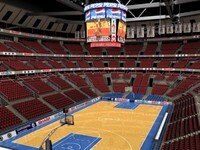 High resolution textures (mostly 2048x2048) are applied so close up renderings are possible. Meshsmooth is applied so you can set the object resolution as you like. 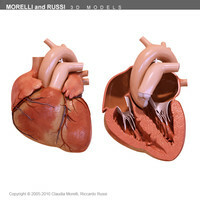 The closed version, the version of the heart which can be opened and the different parts are organized in layers. Both versions, the closed version and the version of the heart which can be opened are available in 3 different resolutions ranging from 11249 to 176728 Polygons (closed version) and 16992 to 266384 Polygons (openable version). The lowest poly-version is the SubD. hull. So you can use it easily as SubD in Maya/XSI or any Software supporting SubD. Both versions, the closed version and the version of the heart which can be opened are available in 3 different resolutions ranging from 21681 to 353456 Polygons (closed version) and 32591 to 532768 Polygons (openable version).